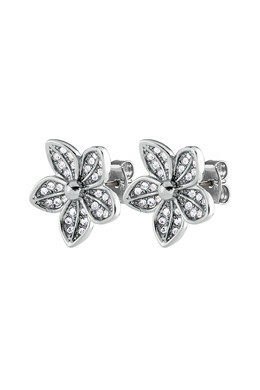 Small flower shaped earrings, in a shiny silver toned finish set with tiny white facet cut crystals. The earrings will brighten up any outfit with their subtle yet sparkling expression. Studded and with butterfly closure.